Modern sculpture has departed from the established rules and practice of classical art. It has become more diverse, complex and bold. 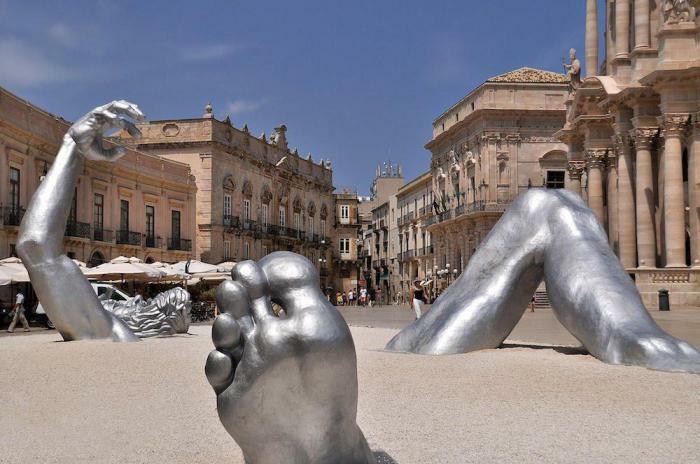 We have collected the most fantastic masterpieces of modern sculptors, who will surprise you. 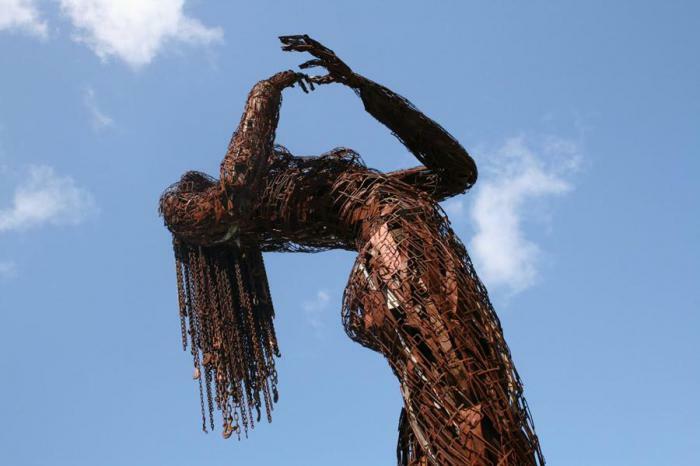 This massive iron sculpture was created by Karen Cusolito. The sculptor believes that using a human silhouette can be used to Express emotions, intentions and problems of modern society. 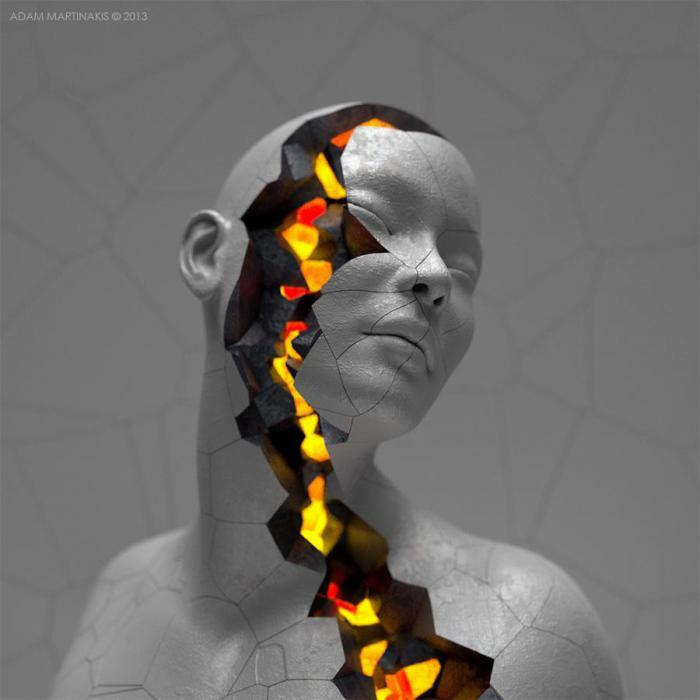 Digital sculpture of Adam Marinakis differs technical perfection and deep philosophical thought. 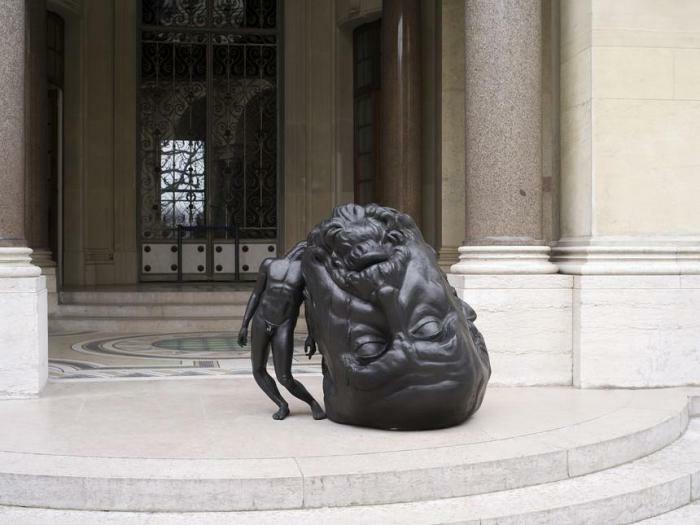 The work of this sculptor again prove that art can take many forms. Most famous work of Thomas Leroy, is a monumental bronze figure with an unusual ironic title. 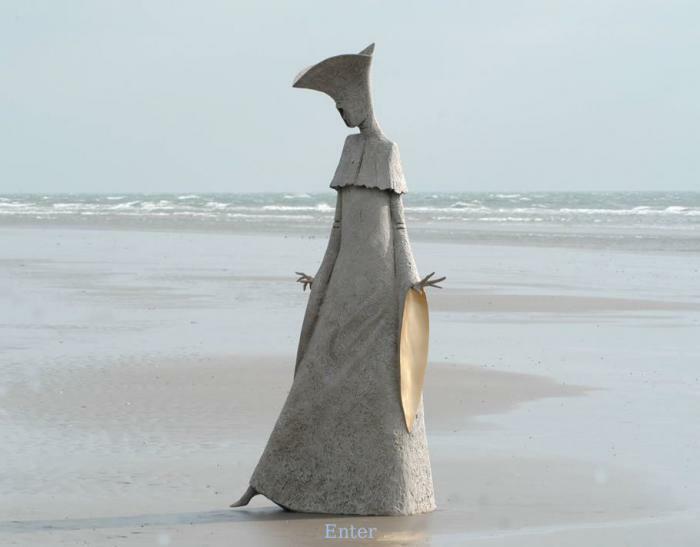 “My sculpture – it is, in fact, an impressionistic depiction of figures», - says the sculptor Philip Jackson. He is known for his unique style with a strong emphasis on “body language”. 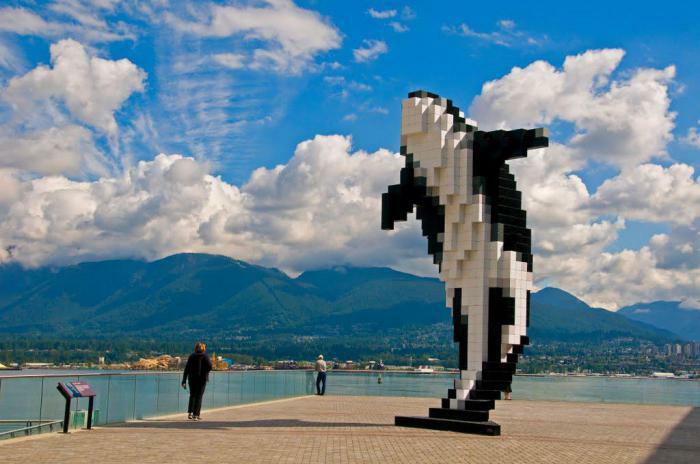 Douglas Coupland is representative of the pop art movement in sculpture. 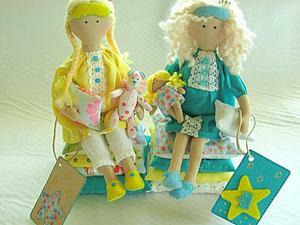 Copeland believes that a simple, but vivid images will always attract attention. 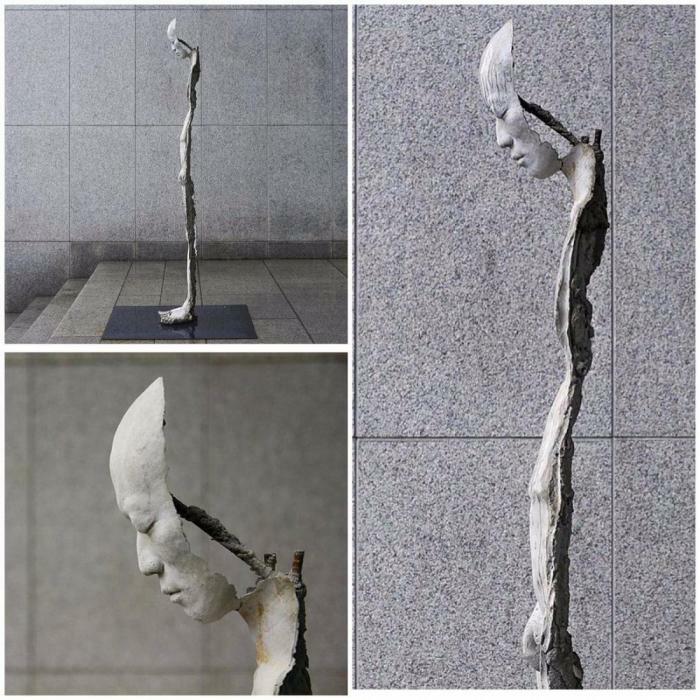 a Striking sculpture in human growth was created by 26-year-old sculptor Pak Ki Phenom. It is a symbol of internal struggle with himself. 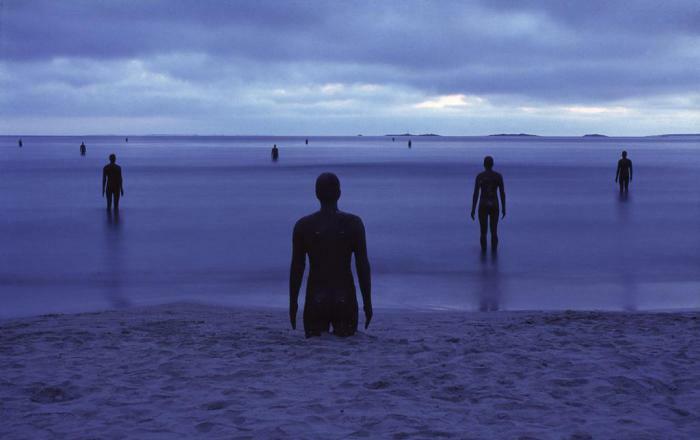 This modern sculpture by Antony Gormley installed on Crosby beach in Liverpool, England. Cast-iron human figures in natural size scattered along the shore. They seem to look out at the horizon. 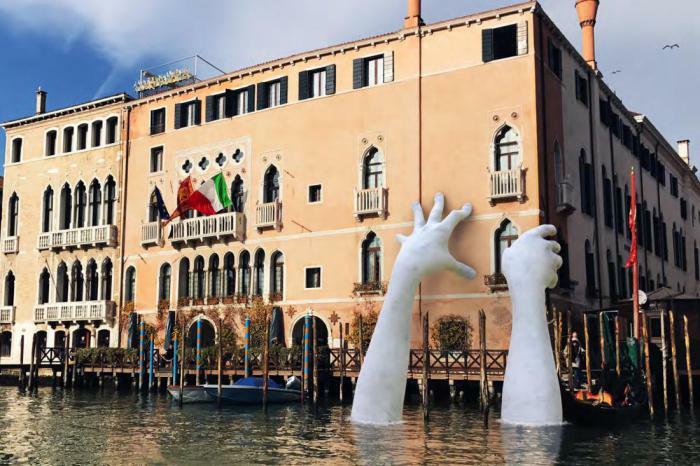 Its a giant statue, installed in Venice, Lorenzo Quinn hopes to draw people's attention to the threat of global warming. 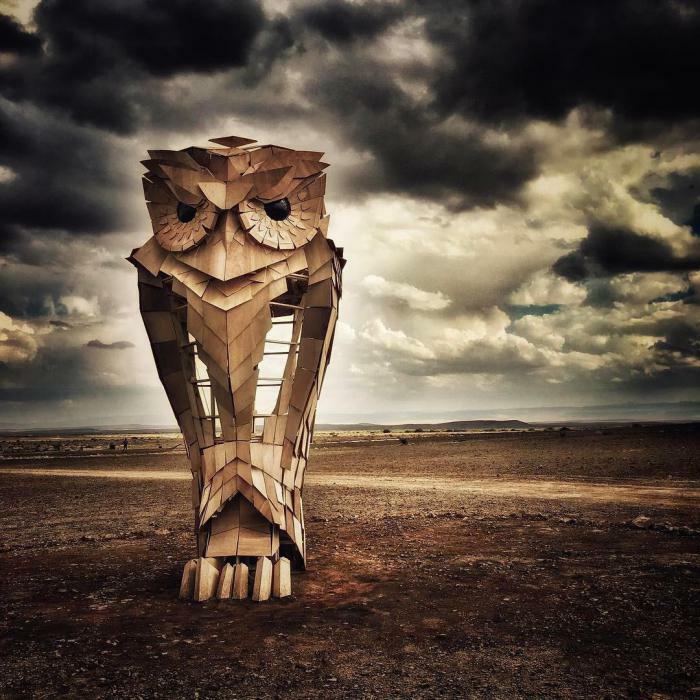 This impressive sculpture was presented to the annual independent art festival Burning Man. Chad knight put his 3D sculpture in an incredibly realistic landscape, blurring the boundaries between the digital world and real life. In Scotland Kelpie – is a mythological creature with the strength and endurance of 10 horses. 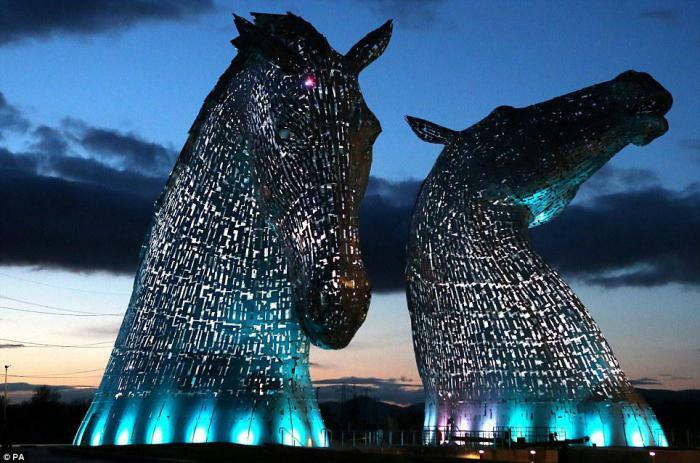 They became a source of inspiration for the sculptor Andy Scott. 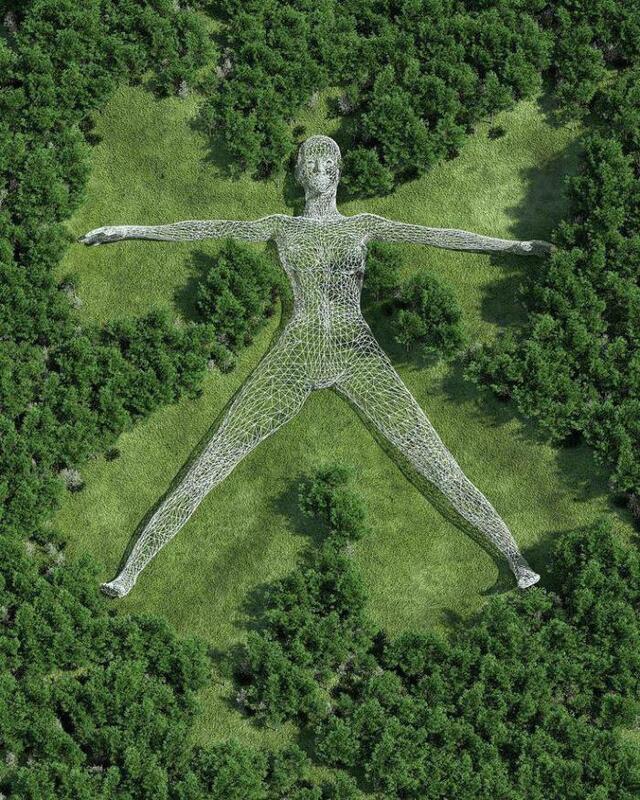 “Awakening” is a 20-meter statue of the giant, which is trying to escape from the earth. The statue was created by John Seward Johnson in 1980. This is another great piece of Adam Marinakis, which depicts the inner essence of the person. 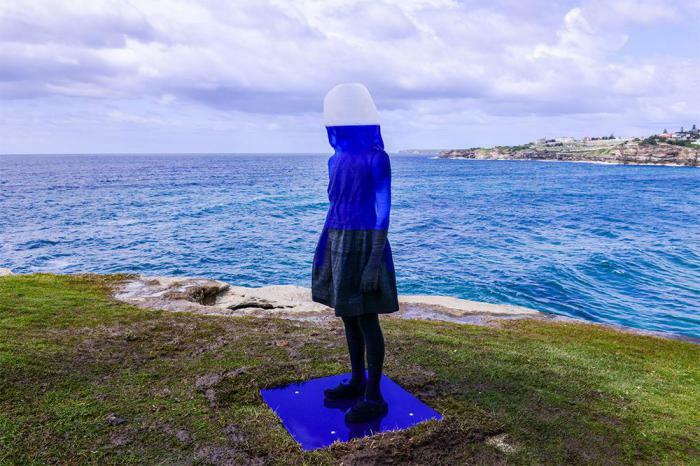 This touching and beautiful sculpture Alessandra Rossi almost merges with the landscape due to three primary colors, which symbolize the sky, the sea and the earth. 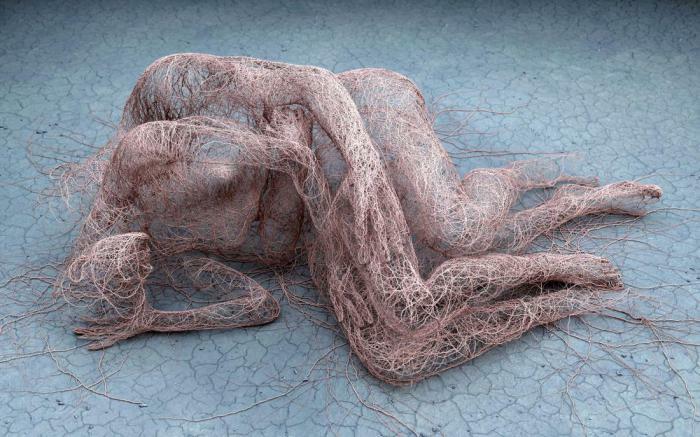 Alexander Reeves has created this amazing digital sculpture when she was only 19 years old. 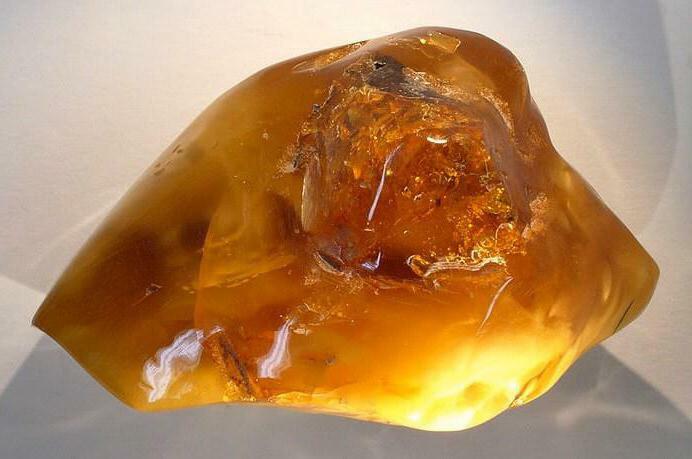 Pictures of amber. How to make your own hands?